Julian Robertson has joined the list of prominent names who are expecting to see high inflation in the United States. Robertson, in case you didn't know, is a former hedge fund manager who founded Tiger Management Corp.
Tiger Management Corp., which was founded in 1980, is credited as being one of the first hedge funds. Tiger Management Corp. had over $20 billion dollars in assets under management in the late 90s, and was easily one of the world's most recognizable hedge fund brands before shutting its doors in 2000. Despite suffering through a rough patch in the late 90s that led to the shuttering of the company, Robertson has proven to be a phenomenally successful trader/investor over the course of his lengthy career. In the last 6-7 years, Robertson has more than quadrupled his net worth, reportedly profiting heavily from the collapse of the subprime mortgage market in 2007. What's the takeaway from all of this? 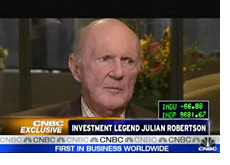 Julian Robertson should definitely be listened to. Robertson believes that high inflation is a very real possibility for the United States. He believes that the United States will have a hard time selling their debt over the next decade, and that this will lead to increased debt monetization and inflation. Robertson says that he doesn't think that the Chinese will stop buying US bonds, but he worries that the Japanese might have to liquidate some of their own long-term bond holdings. In order to step back from the precipice, Robertson says, the United States must "quit spending, cut back, start saving and scale backward." Hard to argue with Robertson on this point, but I have a very hard time seeing this happen. The United States last dealt with dangerously high inflation in the early 80s. The Federal Funds rate jumped to nearly 20% as the US government struggled to contain the jump in inflation. 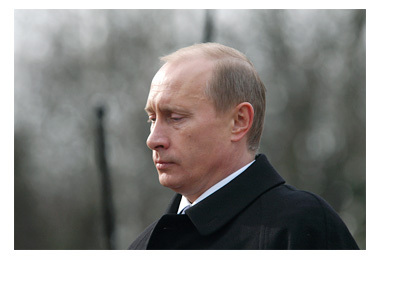 The question is - could the economy withstand a similar shock today? We may find out soon.